Graffiti artists — let’s call them vandals instead, for that’s what they are — attack everything they can reach. 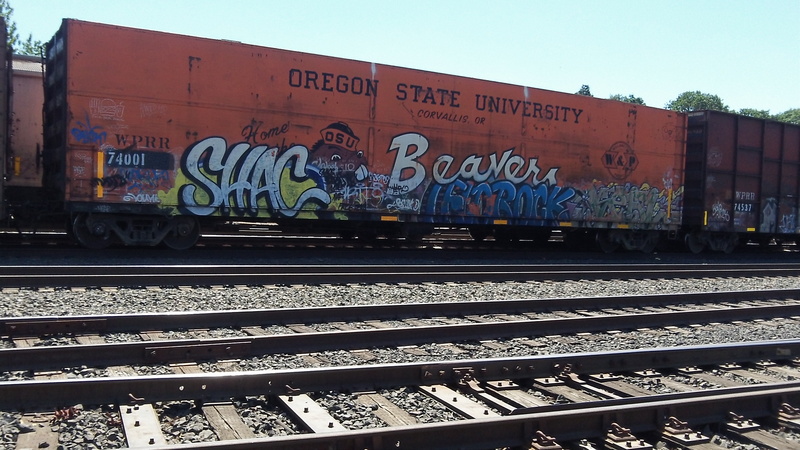 And that evidently includes the boxcar the Portland and Western Railroad had painted in honor of Oregon State University. 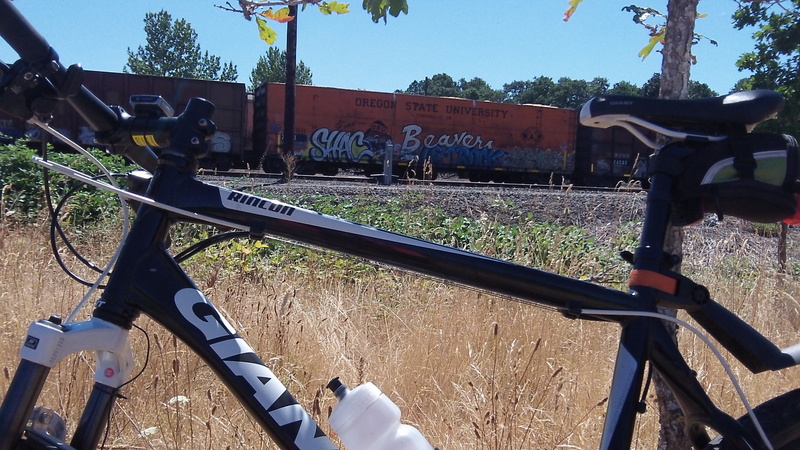 Defacing railroad cars is nothing new, as everybody knows who has waited at a crossing and watched a passing freight. What I don’t understand is why, if the vandals want people to get some message, they don’t try to make their messages more instantly understandable. Experts in typography I guess they are not. Some of the spraypaint creations are elaborate, like these on the Beaver car, and must take quite some time to complete. So one mystery is why no one sees it being done and calls the cops or otherwise interferes. Maybe because it’s done at 3 or 4 in the morning. But everywhere else there are security cameras now, so why not in rail yards? I was touring the Talking Water Gardens when I spotted the Beavers car in the Millersburg yard. Annette Ryan commented on Facebook: Yeah the Ducks one has been tagged. I always try to look for them when we get stopped. The Beavers, Ducks, and Dare Wood Chip Gondola Cars have been vandalized for over a decade now.